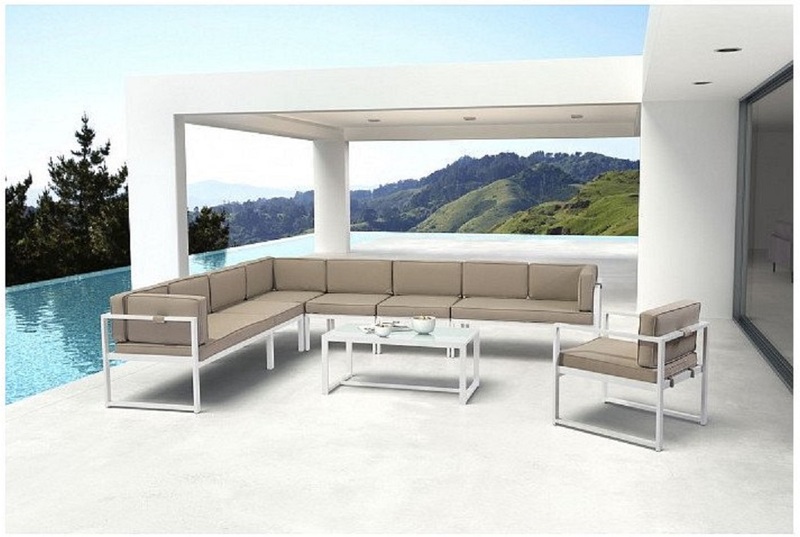 Simply irresistible our outdoor sectional features a bold open rectangular galvanized aluminum frame in brilliant white; offset by warm grey plush seat and back cushions creating an elegant modular style. 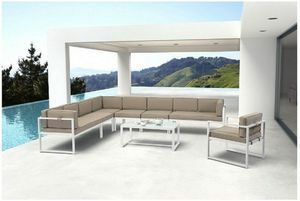 Upholstered in industry leader Sunproof fabrics, which ensure avoid moisture buildup, water wicking and UV resistance for any outdoor use. Sold separately collection includes armchair, middle, corner, RHF & LHF chaise ottoman and coffee tables to build your own sectional, loveseat, or armless chair Sold separately collection includes armchair, middle, corner, RHF & LHF chaise ottoman and coffee tables to build your own sectional, loveseat, or armless chair.